The Headless Horseman is my favorite holiday event in any game. His poetry probably has a lot to do with it! 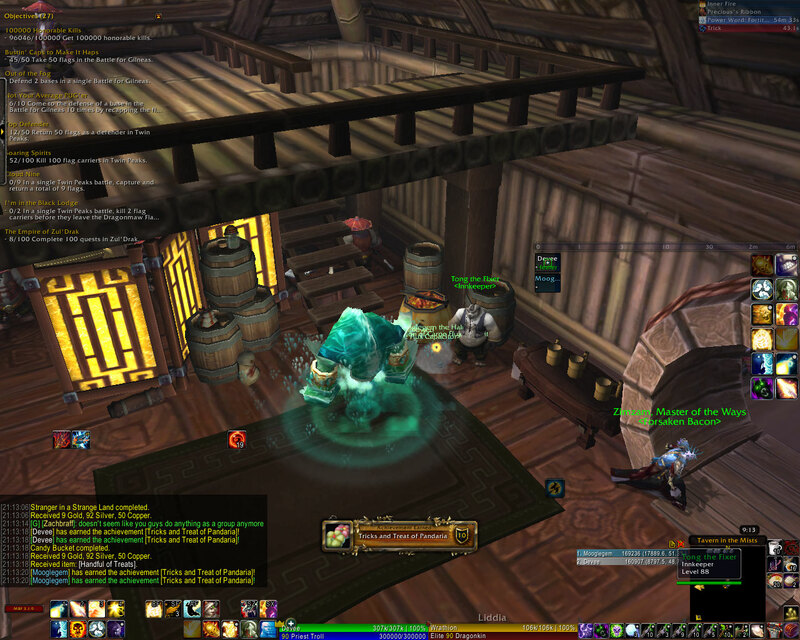 We waited until the 30th, but Mooglegem and I managed to earn Tricks and Treats of Pandaria in time! I’m not sure why we cared, honestly, but it’s fun. 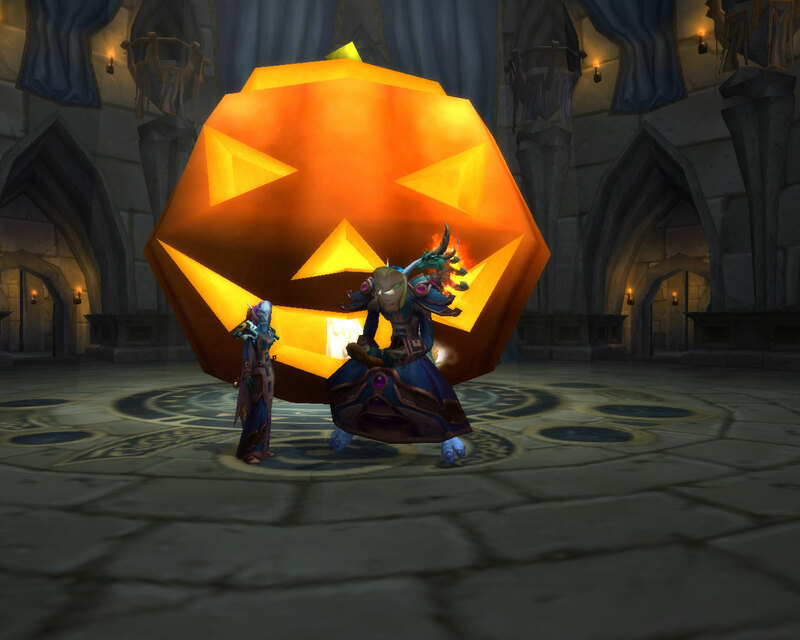 I really wanted (as usual) the Headless Horseman’s Mount, but it wasn’t to be for either of us this year. 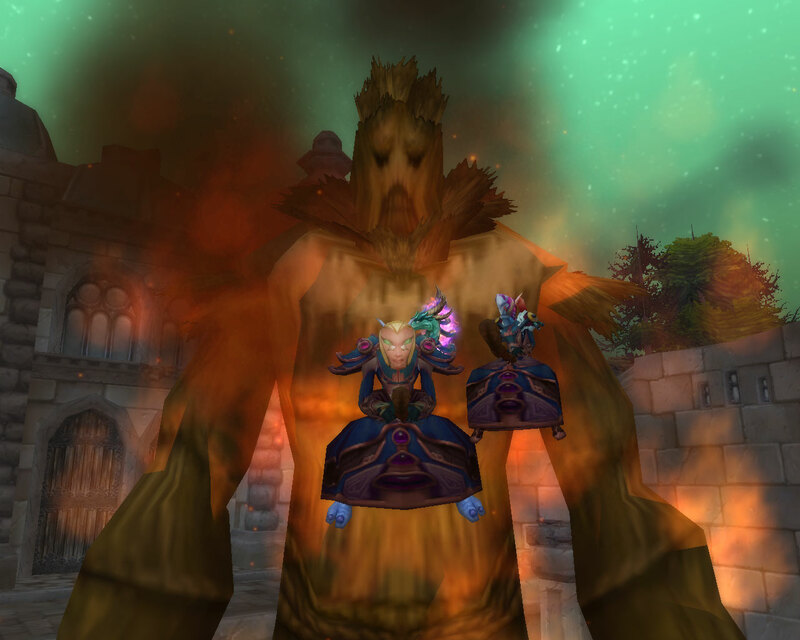 Here we are in front of the Wickerman in the Ruins of Lordaeron. That’s Mooglegem in front and me off to the side. Yup, totally. Sorry to hear about the horseman mount, I’ve been hunting that mount since it was in the live servers, still haven’t even seen it. I should look at the positive. If the mount dropped, I wouldn’t have a very compelling reason to run my favorite holiday boss next year!